Frailty as one of the problems many elderly, to be through long-term monitoring to prevent fall, disease, or even death, and so the problem. Frailty assessment of the relevant indicators include muscle weakness, balance and reaction time, these indicators of the traditional measurement by artificial means to help staff carry out measurements, measurement results vulnerable to assist staff from the impact of error, and only in the health check Local health agencies. This study developed a new set of measurement, through the embedded systems and sensor technology, integrated development of automated measurement and calibration of precision measurement tools to assist the elderly to collect and manage personal information frailty. The main system architecture includes three aspects: (1) Electronic Scale: By LED, microprocessors, Trigger sensors, the target response time measurement. (2) Electronic tap pad: From carbon film resistors and microprocessors formed. Integrated a number of indicators of measurement instrument, measurement indicators include sense of balance and muscle weakness balance and muscle weakness. (3) Personal frailty indicators platform: Provide the instrument operation and information management, real-time display of personal circumstances and health frailty trends. The main contribution of this study is to improve the frailty of measurement indicators, the traditional measurement platform for improved system automatically records the way, not only to streamline operational procedures, can reduce human error, improve the accuracy of the information. 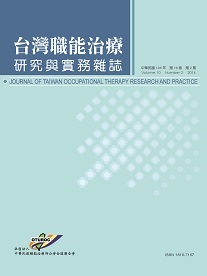 The study for the development of the two instrument, which is now due to the improvement of people expect the equipment into the home environment, combined with home entertainment technology, for the elderly at home for Game, while also simultaneously complete the analysis of indicators of frailty To achieve long-term health tracking and management.